"When people die, especially in such tragic circumstances, it is always a tragedy, a tragedy for us all, for the whole country and for the families of our dead friends. In this connection, I certainly offer my condolences to the relatives of those who got killed in the downing,' Putin said at a press conference with Hungarian Prime Minister Viktor Orban in Moscow. Putin stated that the Russian side is set to thoroughly investigate the case, while stressing that "the Israeli jet didn't down our aircraft." "Most certainly, we have to sort the case out most seriously. And our attitude to the tragedy is outlined in the Russian Defense Ministry's statement," he noted, adding he personally approved it. "Russia's retaliatory measures with regard to the Il-20 downing will be directed primarily at stepping up security of Russian military officers in Syria, our military facilities in the Syrian Arab Republic," he said. "These will be the steps everyone will notice," he stressed. "When it comes to comparing the Il-20 crash with other incidents, namely an attack on a Russian plane, when a Russian plane was downed by a Turkish military jet, this is still a different situation," Putin noted, adding that the latest incident looks like "a chain of tragic accidental circumstances." 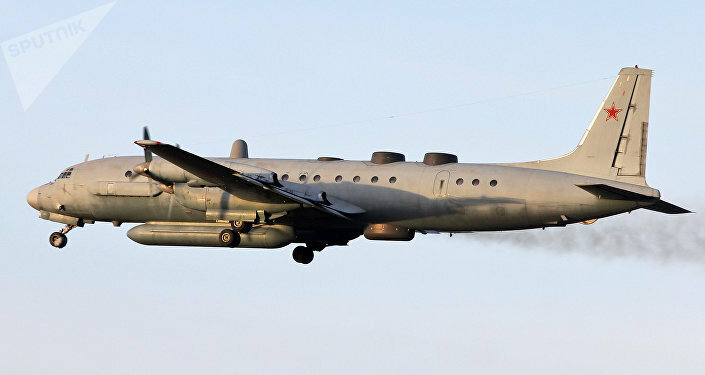 On September 17, around 23 p.m. Moscow Time, a military jet Il-20 disappeared from the Russian radar screens, while on its way back to the aviabase Khmeimim, which lies 35 kilometers away from the Mediterranean shore. According to the Russian Ministry of Defense, around the same time, four Israeli military jets F-16 attacked Syrian targets in Latakia. The ministry went on to state that by hiding behind the Russian jet, the Israeli pilots thereby subjected it to an attack by the Syrian air defense units, with a Syrian S-200 missile ultimately downing the Russian aircraft. A total of 15 Russian military servicemen were killed in the aircraft destruction.